The Gros Ventre, Atsina people reside in the north central region of Montana on the Fort Belknap Reservation. The Gros Ventre, Atsina people, the "White Clay people," are a Algonquian-speaking Native American people located in north central Montana. Today the Gros Ventre people are enrolled in the Fort Belknap Indian Community of the Fort Belknap Reservation of Montana, a federally recognized tribe, that also includes Assiniboin people, the Gros Ventre's historical enemies. In 1862, Jesuits came to Fort Belknap to convert the Gros Ventre people to Roman Catholicism. Consequently, their traditional ceremonies took second place. However, in time their traditions revived and two sacred ones took precedent: that being the two sacred pipes. The Feathered Pipe and The Flat Pipe remain central to the traditional spiritual beliefs of the Gros Ventres. 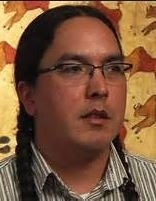 Indian Nations: Assiniboine Gros Ventre from Montana Office of Tourism on Vimeo. Pray for the Gros Ventre to learn about the truth in Jesus Christ. Ask neighboring evangelical Christians to not ignore the need for the Gros Ventre to hear the gospel of Christ.